Playful, yet earnest on the bandstand, Raffles Jazz is a close community of musicians who are passionate about performing this strangely compelling genre known as Jazz. Performing at company events, functions and school concerts, Jazz has always been serious about presenting genuine and captivating music since it was founded 10 years ago as a student initiative group. 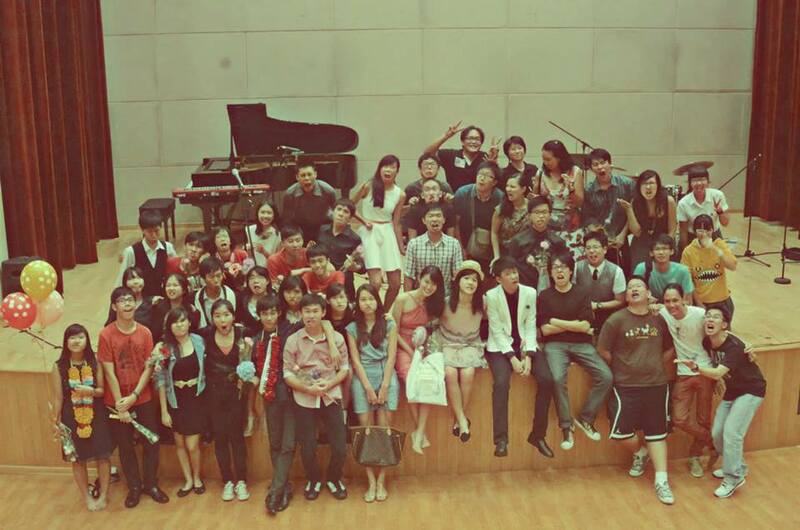 Today, Jazz thrives on its rich history of accomplished alumni whose explorations in music have enriched the Singaporean jazz scene and reach overseas to acclaimed music colleges abroad. This tradition carried on by juniors continues and evolves to present yet more mesmerizing music every year. Jazzers play with sheer feeling, and it is this emotion that engages the audience and creates a moving performance. We want to push boundaries in music and improve, as musicians and performers. Jazz sessions are traditionally held on Friday evenings in our beloved Jam Studio. During this time, we often have lessons conducted by our instructors Tan Wei Xiang and Seow Yi Zhe along with jamming sessions and other events. However, a word of warning – do not be fooled by the compulsory 2 hours per week! Practices are often held outside of the Friday sessions, and will increase in intensity according to the occasion. The occasions range from opening acts at school events, to playing for company dinner, to our highly anticipated annual concert. Nevertheless, rest assured that practices take into account the commitments and the schedules of all band members. Bands in Jazz are flexible, allowing all of our members to interact and play with each other as they wish. As for the Jazzers themselves, all of them are unforgettable characters with a healthy (or unhealthy, depending on how you see it) dose of “hairiness”, the pervasive culture of Jazz that leaves no member unscathed. Symptoms include strange antics, jokes no one else can understand, distorted faces and uncontrollable laughter. Jazzers are very commonly spotted at the steps near the Parade Square in the morning or chilling out in the storeroom after school, and will be very happy to entertain any of your questions pertaining to Jazz. We don’t bite, so don’t be shy! What does one have to do in order to get into Jazz, you may ask? Though any prospective member has to pass an audition and an interview, do not be daunted by these terms! 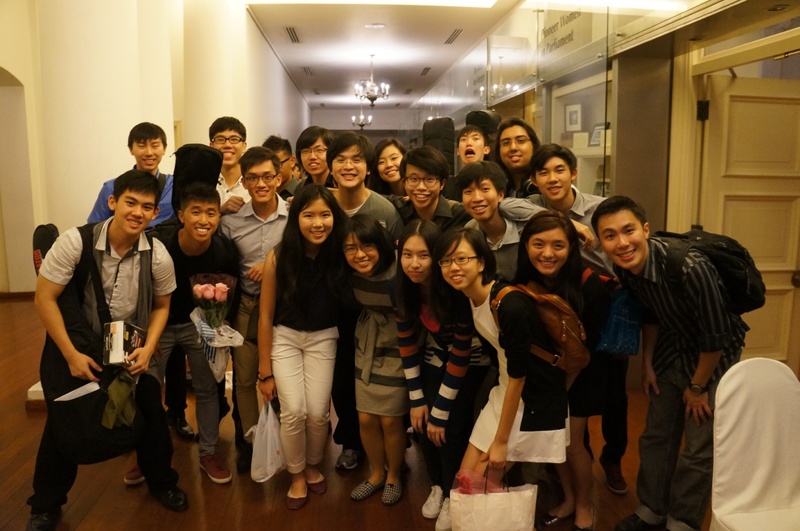 Raffles Jazz welcomes all who possess musicality, passion for music, and are willing to work hard for what they love. In fact, we value this much more over technical skill. For those without prior experience in the genre, fret not! During the trial period, an introductory workshop will be held, where our instructor and the seniors will guide you through the basics to prepare you for your tasks.